The Union Station development is moving along quickly. It’s amazing to watch it change daily. The most noticeable change right now is the commuter train hall canopy that is being constructed. 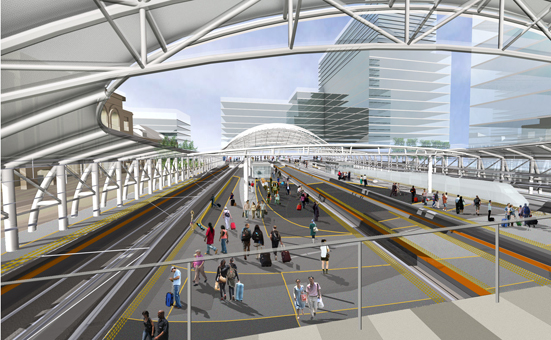 The large white canopy will house the Amtrak trains, trains to DIA and trains to Broomfield. On the Wynkoop side of Union Staion, work is being done on the two pedestrian plazas. Crews are constructing the water feature, granite wall seat, tree trenches and light fixtures. In the underground bus station the escalators and elevators are going in along with the glass storefront that separates the pedestrian concourse and the bus loading area. To read a more in depth article about the updates, click here.